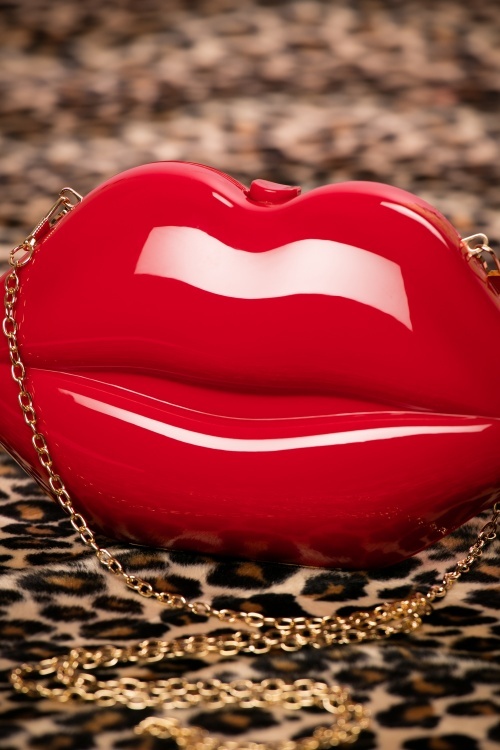 Can you read my lips?... 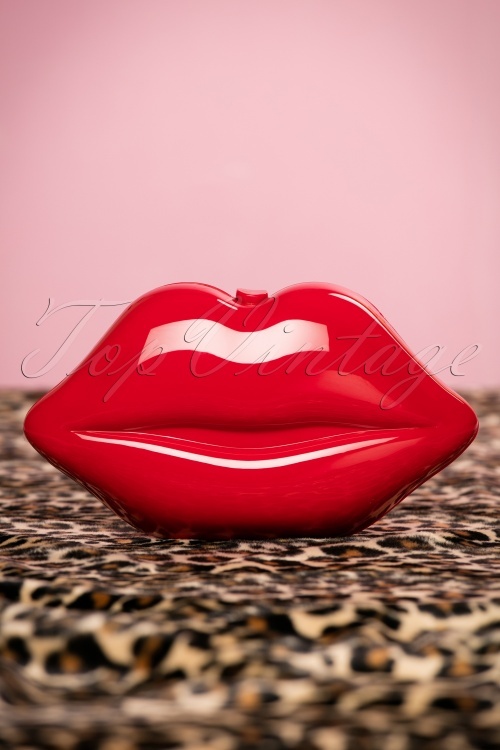 they are telling you that this 50s Lips Clutch is a must-have to add to your bag collection! 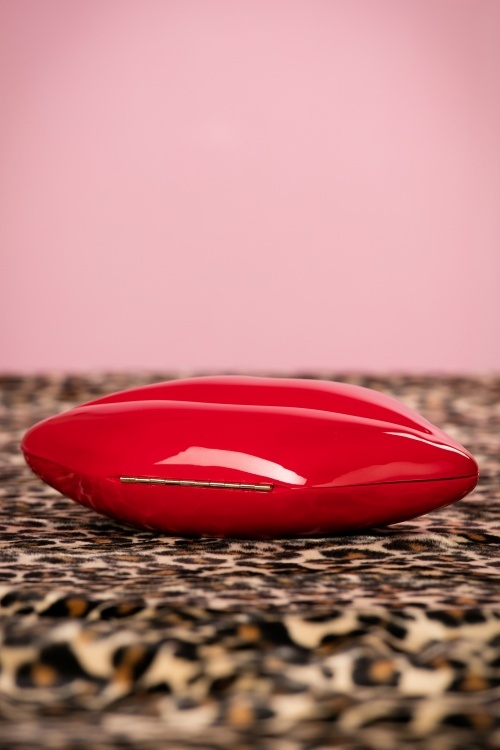 Fun and flirty defines this hardcase lipstick red clutch in the shape of kissable lips. 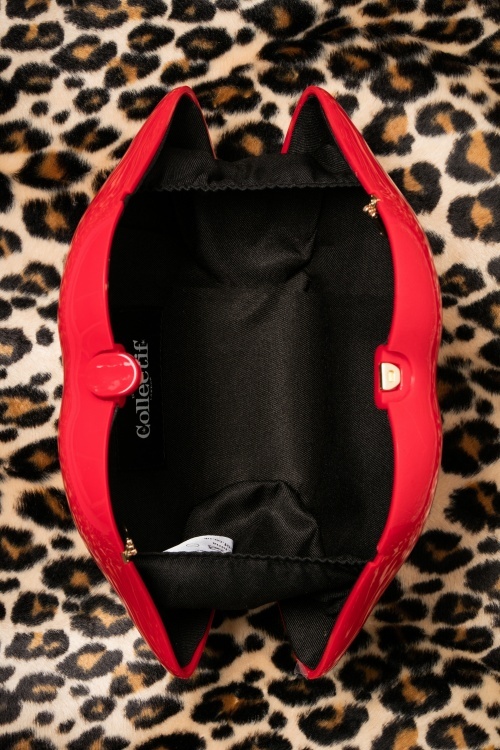 Finished off with a red toned snap closure, and a detachable gold toned chain so you can wear her over your shoulder as well. 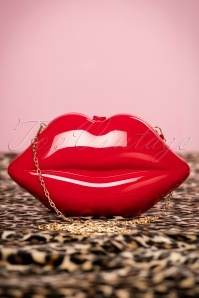 Luckily this little clutch is just big enough for your keys, phone and LIPSTICK! 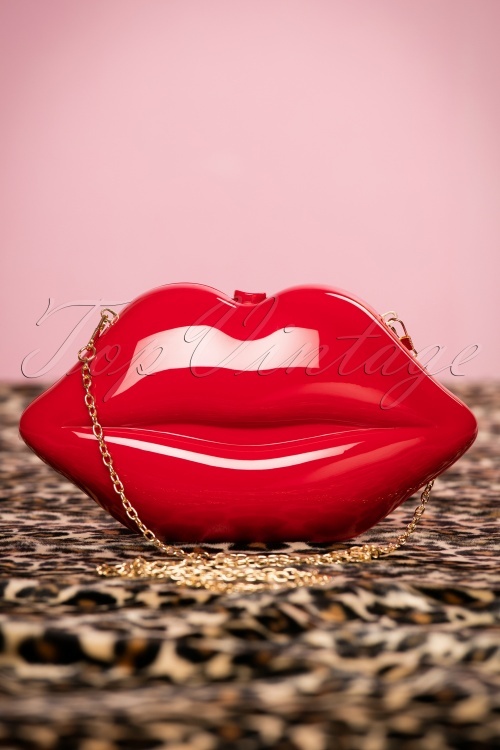 Blow them a kiss and party on!